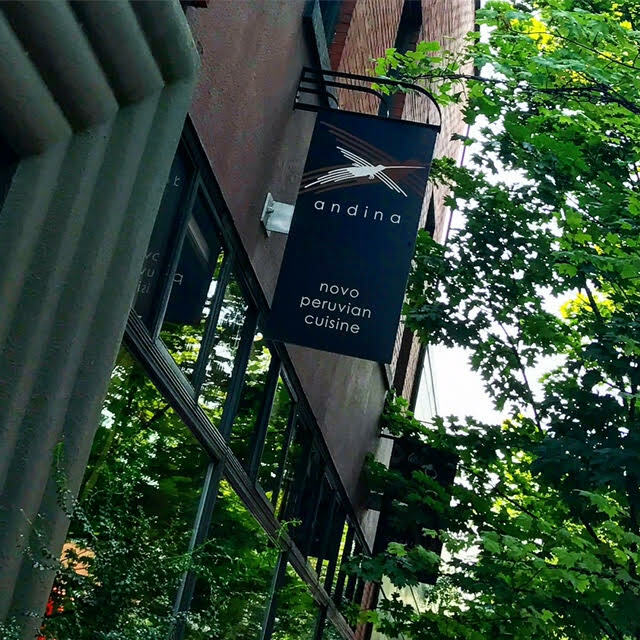 As I sat in bumper to bumper traffic in downtown Portland, I suddenly felt extremely lucky when I had the chance to slide right into a parking spot directly outside of Andina Restaurant, a Novo Peruvian gem in the heart of Portland’s well-known Pearl District – my destination for the day. Andina has been one of my most beloved eateries in Portland for ten years and counting, and I was there to meet up with colleagues for a lunch gathering focused on my absolute favorite winery from Washington’s wild, wild west (yet cultured and worldly) town of Walla Walla; the winery being featured was Walla Walla Vintners. 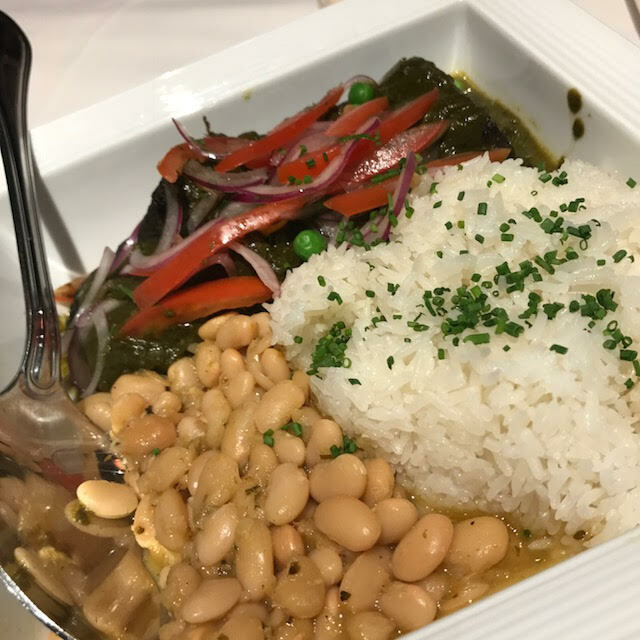 Andina is an excellent Peruvian restaurant located in downtown Portland’s Pearl District and is the perfect spot for hosting events. Founded in 1995 by two of Washington’s revered pioneering winemakers, Gordy Venneri and Myles Anderson, Walla Walla Vintners is known for making wines that are aromatically intense, lush, elegant and down-right age-worthy. Named Pacific Northwest Winery of the Year in 2016 by Wine Press Northwest, the tasting room is housed in a rustic, yet refined, big red barn that is surrounded by rows and rows of vines that line the foothills of the resplendently beautiful Blue Mountains. 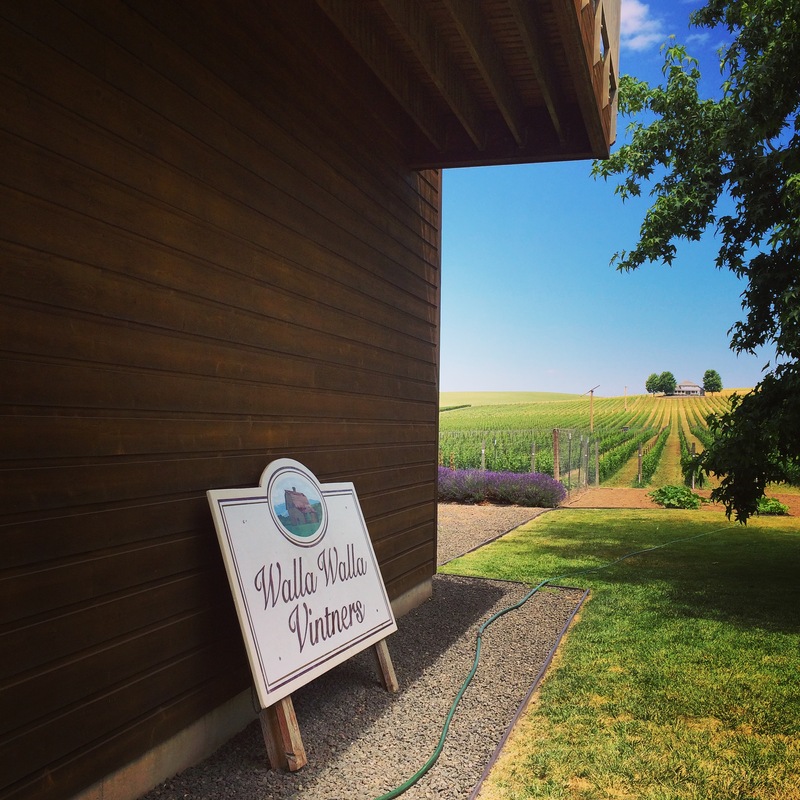 The Walla Walla Vintners sign rests along the side of the barn’s tasting room. My very first experience with a wine from Walla Walla Vintners was during the SavorNW Wine Awards “welcome night” get-together at Season’s Cafe in Cannon Beach. Encouraged (and eager) to bring a bottle of wine to share while everyone involved in the wine awards event becomes acquainted, a fellow wine-judging colleague urged me to try the Walla Walla Vintners Yellow Bird Merlot, vintage 2012. I was instantly hooked; it was one of the finest Merlots I had ever tasted. In search of the person who had brought the Merlot, I came across Gordy Venneri, a fellow wine judge, who proudly told me in detail about where the wine came from and how it was made. He later, very generously, sent me a couple each of the Yellow Bird Merlots along with several other stunning Walla Walla Vintner wines. Not long after meeting Venneri in Cannon Beach, I was sipping those same wines inside the famed red barn while on my first-ever visit to Walla Walla. In 2017, Walla Walla Vintners co-founder Myles Anderson retired, and Gordy Venneri welcomed a new partnership with Scott Haladay, who shared a passion for maintaining tradition at Walla Walla Vintners while looking at a bright future for the winery’s next chapter. Scott Haladay, who brought with him 20 years of experience in the technology field (10 of them being spent implementing and developing software for beverage distributors), oversees strategy, branding, marketing and sales for the winery. Scott Haladay, along with winemaker Bill vonMetzger, a long-time employee of Walla Walla Vintners (since 2002) who oversees the wine from the arrival of the grapes to the final bottling, joined us at Andina to reveal the newly designed label and focus on the inaugural 2012 vintage from Walla Walla Vintners Cut Back Estate Vineyard. 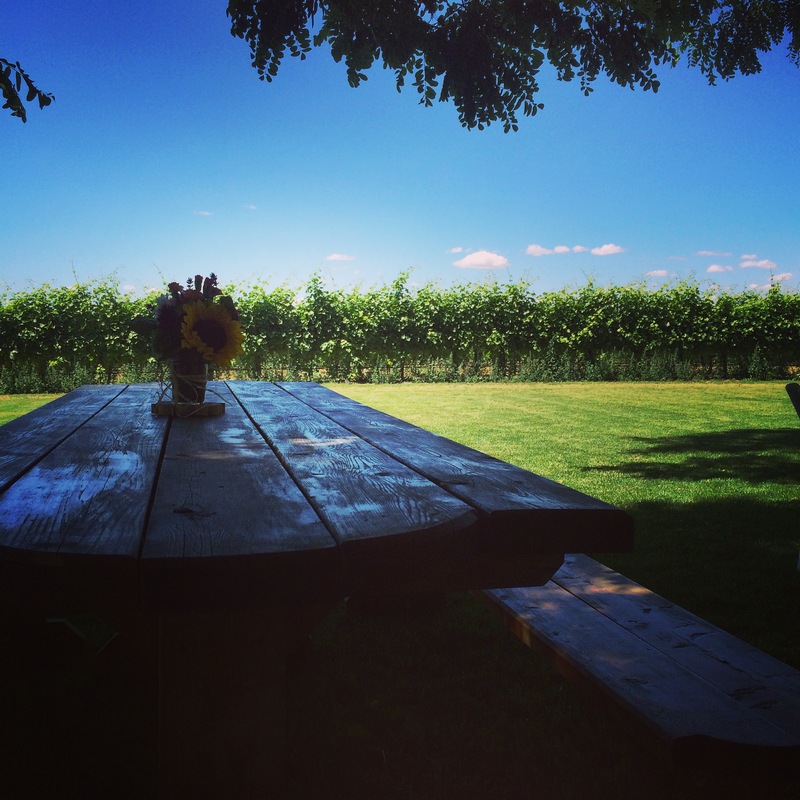 A picnic table along the edge of cut Back Estate Vineyard is nothing short of an invitation to relaxation. Cut Back Estate Vineyard sits at a pretty high elevation for the Walla Walla Valley at 1,467 feet. The name “Cut Bank” refers to the small cliff formed by erosion from Mill Creek, which flows through the valley. The breezes that come down from the Blue Mountains cool temperatures while the vineyard’s southwest exposure provides plenty of sun to ripen the fruit evenly and slowly. 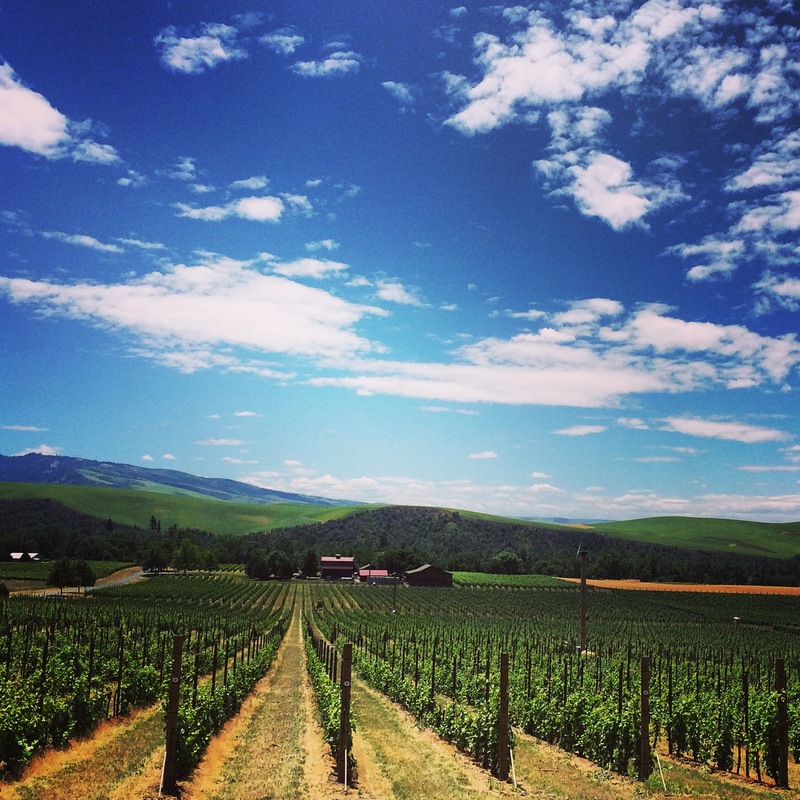 Unlike most other areas of the Walla Walla Valley, there is enough precipitation at Cut Bank for the vineyard to be dry-farmed. The terroir at Cut Bank Estate Vineyard is essentially ideal for Cabernet Sauvignon (4 acres), Merlot (4 acres),Syrah (2 acres), Sangiovese (1.5 acres) and even Petit Verdot (0.5 acre). The recognizable Walla Walla Vintner red barn tasting room can be clearly seen from the top of Yellow Bird Vineyard. Cut Bank Estate Vineyard is to the right of the barn in this photo. With a focus on the inaugural Cut Bank Cabernet Sauvignon and Vottavo, 2012 was the first year of full production from the Cut Bank vineyard. 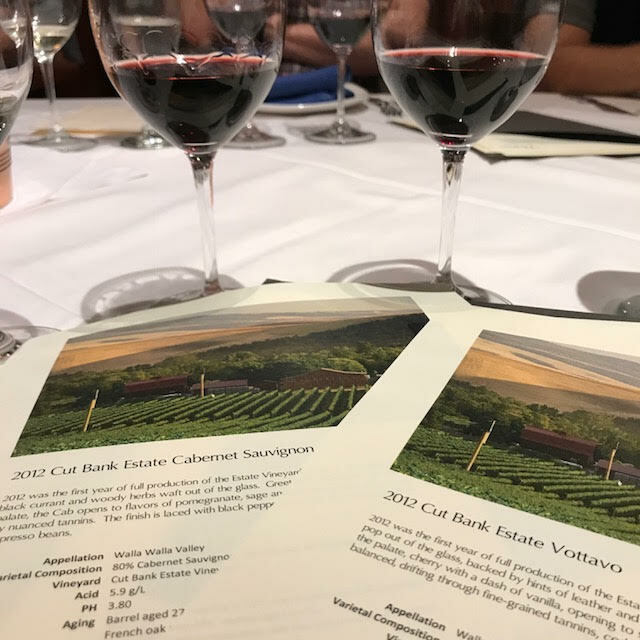 Feeling lucky to have the chance to sip these wines prior to their fall release, the 2012 Cut Bank Estate Cabernet Sauvignon (80% Cabernet Sauvignon, 16% Merlot, 4%Petit Verdot) offers hints of smoky, woodsy aromas that swirled lightly around more prominent nuances of blackberries, black cherries, licorice and vanilla. Juicy fresh-picked blackberries submerge the palate in deliciousness. Herbs and minerals roll into the flavor profile midway, and the lush finish lingers with hints of coffee and spice. Tannins are smooth and well integrated, balancing the wine beautifully. The Cabernet Sauvignon was delicious with everything on the menu; especially, the Empanadas de Carne (flaky pastry filled with slow-cooked beef, raisins, egg and Bojita cheese) and the Seco de Res (slow cooked short rib in a cilantro and black beer sauce). 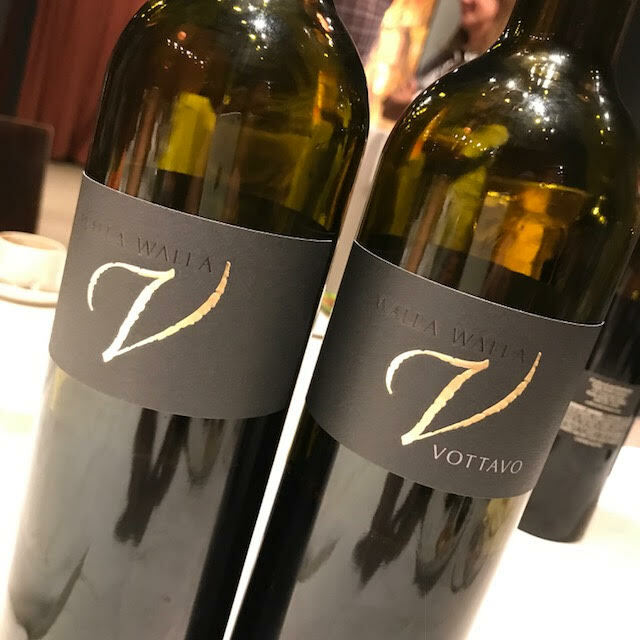 The 2012 Cut Bank Estate Vottavo was a blissfully zesty blend of 47% Sangiovese, 32% Merlot and 21% Cabernet Sauvignon. Bright and concentrated redcurrant aromas dashed from the glass with occasional wafts of fresh rolled cigar, earth, licorice and spice. Aromas followed through to the palate with added cherry and vanilla up front. Perpetual balance showcased throughout, from the fruity entry to the cedar, earthy and all-spice finish. 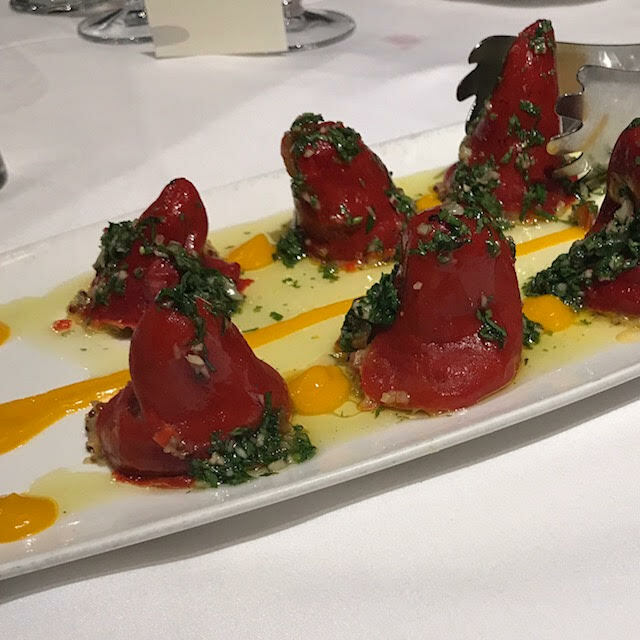 The fine tannins and superb acidity held this wine together with grace, and I absolutely loved it – a perfect match to the delicious Pimiento Piquillo Relleno (sweet piquillo peppers stuffed with cheese, quinoa and Serrano ham). I was pleasantly impressed with the updated design of the new label. Modernized and streamlined, the classy silver type-set on black is sleek, elegant and stand-out. The design is rich and precise – depicting with exactness the high quality wine that comes from inside the bottle. A bonus wine was pulled from the library, giving us all a chance to see how well the Walla Walla Vintners wines are able to stand the test of time. 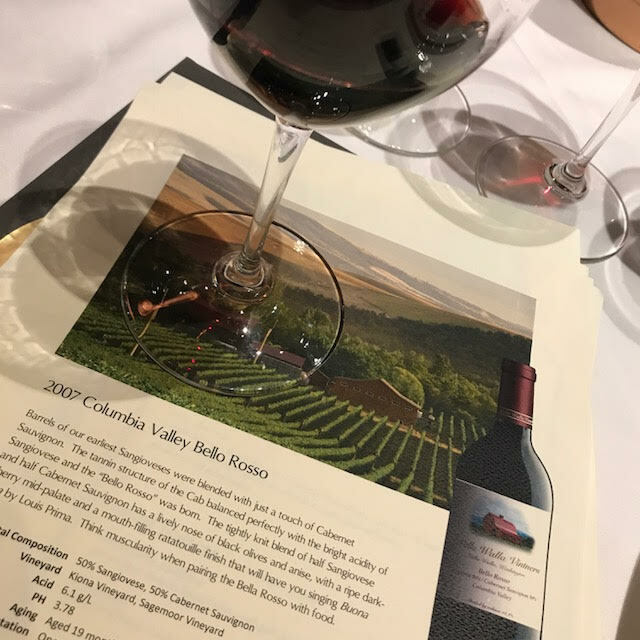 With fruit sourced from the Columbia Valley, the 2007 Bello Rosso was produced using 50% Sangiovese and 50% Cabernet Sauvignon – an outstanding blend with a solid tannin structure and super bright acidity. Intense and alluring in both aromas and flavors, the three main characteristics that caught my attention were ripe, juicy blueberries, cloves and leather – what a treat! 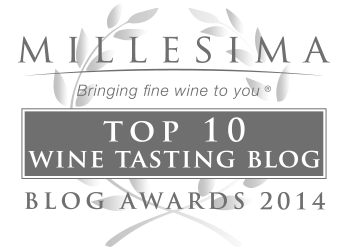 The stellar Bello Rosso wasn’t the only bonus wine we were treated to. 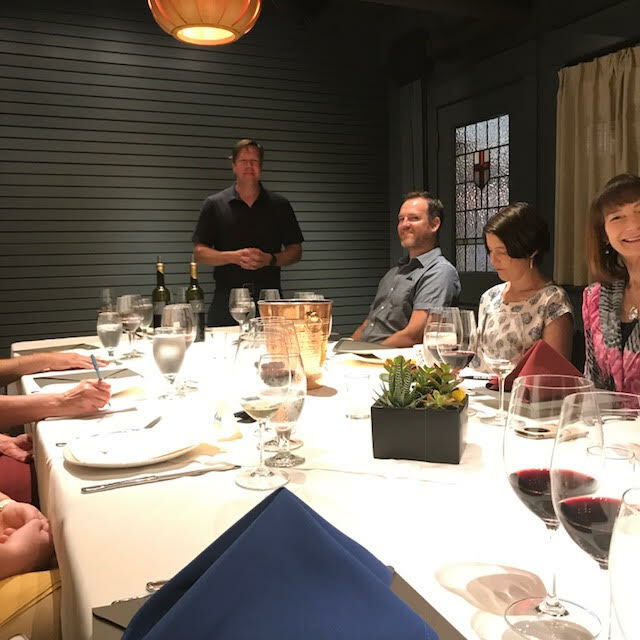 Upon arrival, we were given a glass of Walla Walla Vintners 2016 Vineyard Select Chardonnay, and my initial reaction was surprise – I had never associated Walla Walla Vintners with any white wine at all. But this was my kind of Chardonnay: crisp and refreshing with vibrant acidity and a memorable texture. 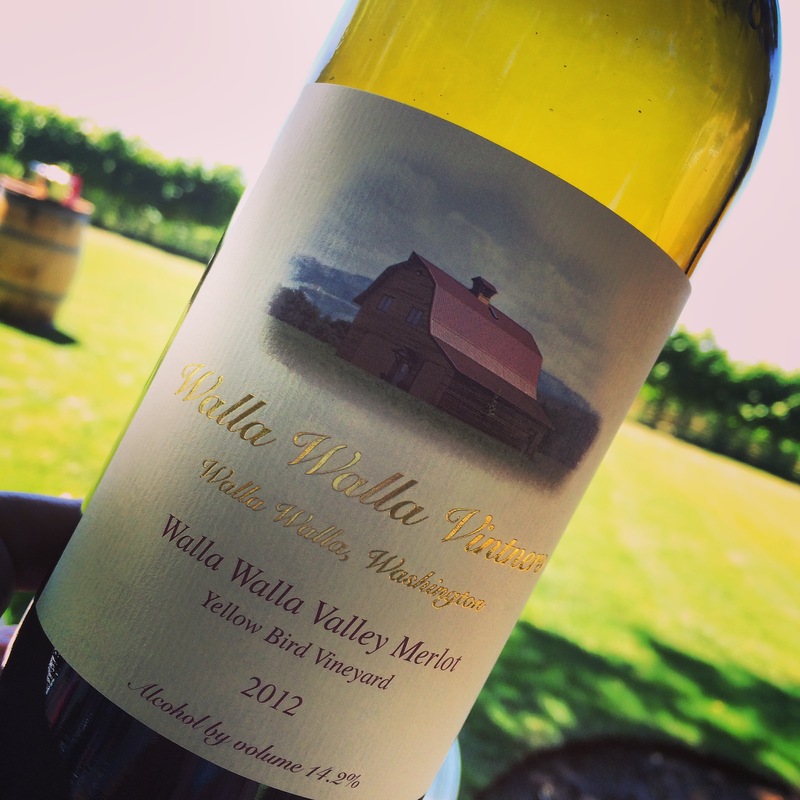 Once we were seated, the winemaker was asked about the Chardonnay and we soon discovered that it was, indeed, the very first white wine to ever be made at Walla Walla Vintners, and the fruit was thoughtfully sourced from a cool site in the Walla Walla Valley, ensuring its bright acidity. The memorable texture came from whole cluster pressing, barrel fermentation and its sur lie aging. I hope it was the first of many more to come. Presentation and flavor was on-point with the super tasty Alfajores. 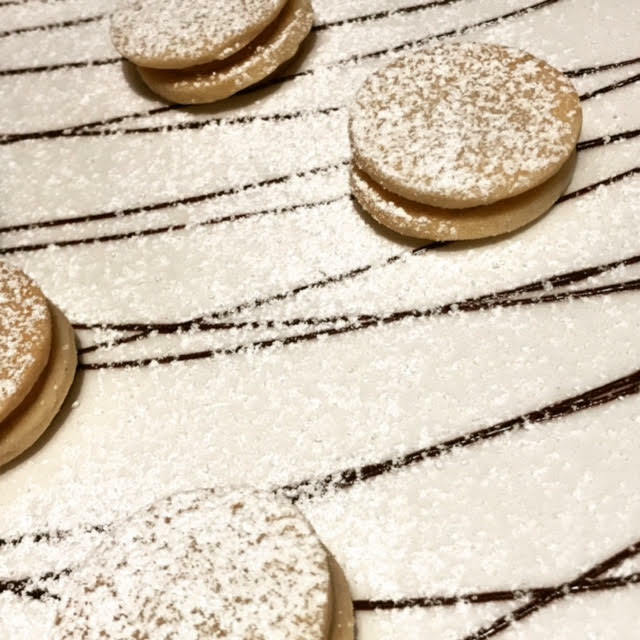 In typical Andina style, the event ended with tasty Mini Postres; including, Chocolate Andino (quinoa flour brownie layred with a rich gold dusted chocolate ganache) and Alfajores (classic Peruvian cookies, scented with key lime and filled with manjar blanco. Thank you to Dixie Huey of Trellis Growth Partners and to everyone at Walla Walla Vintners.